When you pop open a bottle of beer, what do you do with the bottle cap? Throw it off to the side and forget about it? Toss it in the garbage? These are just habits that we've all gotten used to, but soon you'll see that they most definitely need to be broken. You might be thinking, "What the heck am I supposed to do with a bunch of leftover bottle caps?" Luckily for you, we've compiled a handy list of nifty and neat DIY bottle cap crafts below that you can use at your disposal. 2. Make some neat checkers. 3. 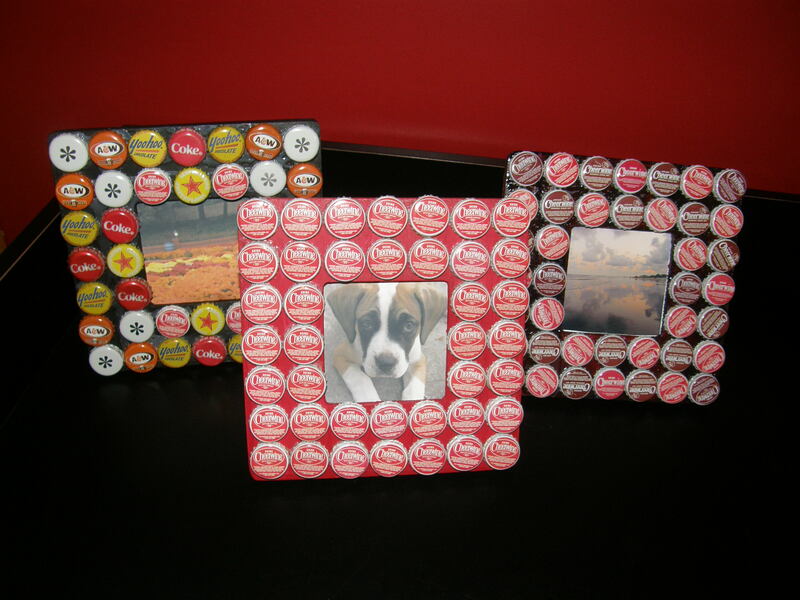 Make mini picture frames. 4. Melt wax to create tiny candles. 5. Decorate a picture frame. This is great if you don't have a helper to pass you the needles. Find out how this is done here. 7. Make a unique key chain. 8. Craft a cool tabletop. 9. Create a wind chime. Make your own or buy this one here. 10. Make some cool magnets. 11. Craft some drink coasters. See how to make one here. 12. Decorate a mirror's frame. 13. Make some quirky rings. 14. Craft a garden decoration. Check out how to make this here. 15. Build a cool clock. See how to make one for yourself. 16. Make your own fishing lures. 17. Craft a beautiful necklace. Check out how this is done here. 18. Make some wall art. 19. Create a unique wreath. Make one on your own or buy this one here. 20. Craft matching friendship necklaces. See? There are a bunch of uses for bottle caps that are a whole lot better than filling up garbage bags. So save your bottle caps, and put them to some good, DIY use.